Summer is coming! I like the sound of that, don’t you? Chicago has gone from gray to green in just a few short weeks, and it’s gorgeous. 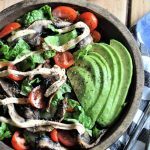 To kick off the season of outdoor grilling and fresh crisp vegetables I’ve gathered up some of my favorite salads on the blog and a bunch of mouthwatering salads from some of my favorite vegan bloggers. There’s something for everyone in this healthy collection, so grab a fork and dig in! This salad is the perfect way to end your day. 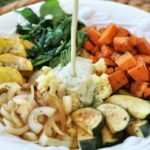 It has tender potatoes, chickpeas for protein, crisp cucumbers and other fresh veggies, and it’s topped with a creamy Dijon dressing. Grab a glass of chilled white wine and dine alfresco. If you haven’t tried pickled peaches you don’t know what you’re missing. 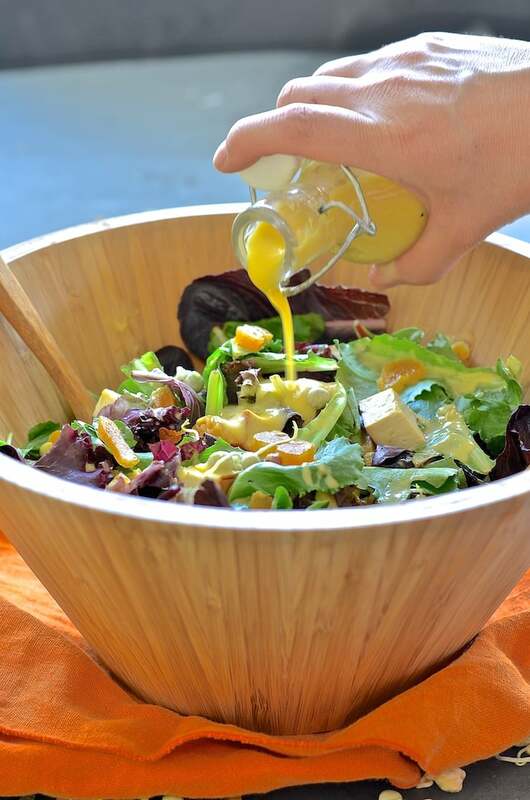 My friend Becky created this gorgeous salad and I’m pretty sure you’re going to love it. 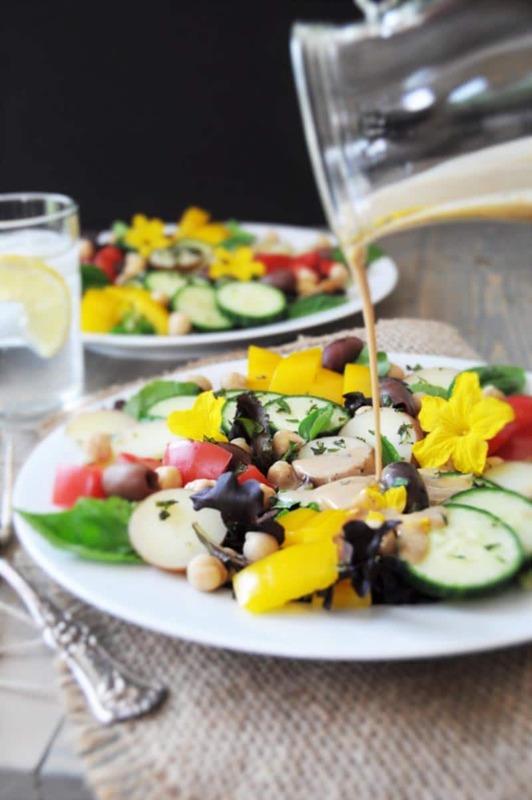 This unique Lebanese bread salad is as delicious as it is different. Crispy pita chips, spicy radishes, and cool tomatoes and other vegetables make this a satisfying meal. This salad has all the summer fruits. You’ll get a bite of mango, nectarine, and raspberry in every single bite. Need I say more? The smokiness of the tofu and the sweet apricots in this salad are incredibly delicious. Who knew that healthy could taste so good? Quick, easy, and so yum! 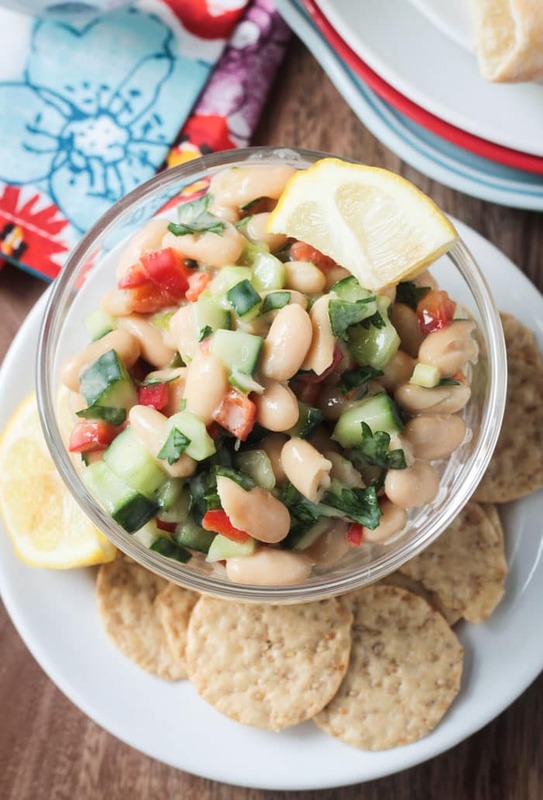 Creamy white beans and crisp veggies drenched in a tangy and creamy dressing. Eat it as is or stuff it in a pita for a satisfying meal. Is this a salad or a salsa? I say both. 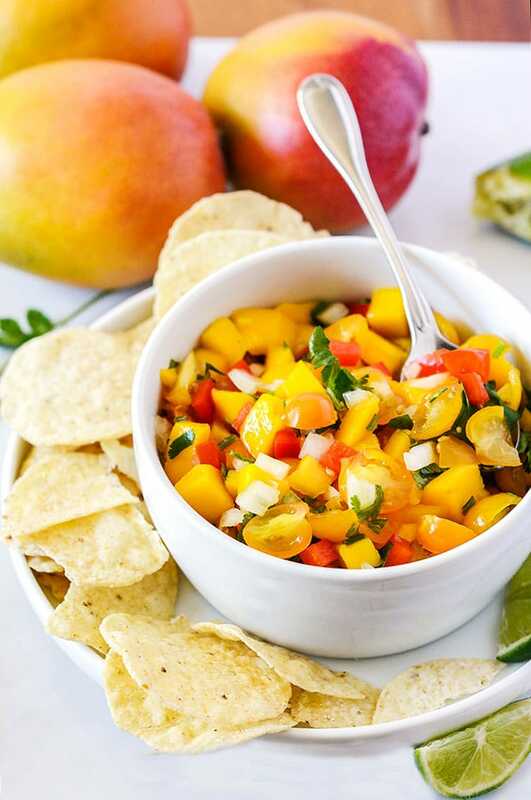 You can eat it with a fork or use it as a dip, either way, you’re going to love all of the wonderful flavors. Creamy macaroni salad is what summer picnics are all about, at least in my picnic world. You’re going to love this healthier version more than the kind that’s made with mayo. This colorful slaw has it all! Flavor, texture, color, and so many healthy ingredients. Eat until you can’t eat no more! Guilt free. Holy moly this salad is good! 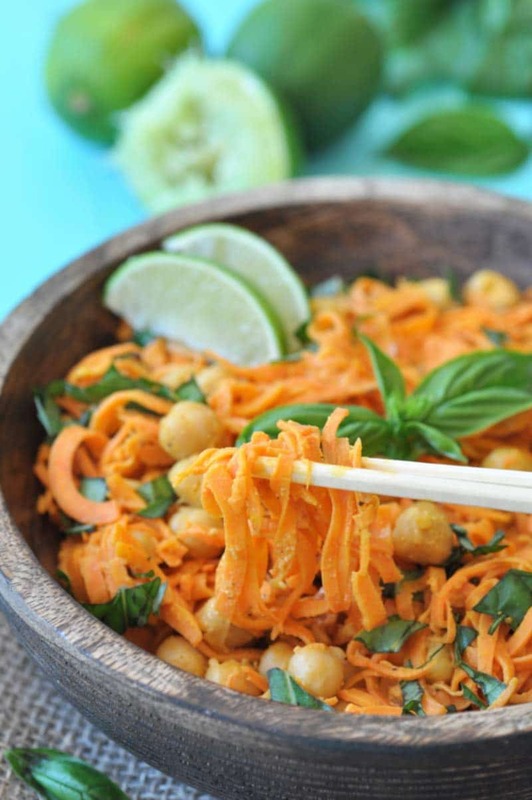 Sweet potato noodles are smothered in a creamy dreamy peanut lime sauce with a kick of heat. 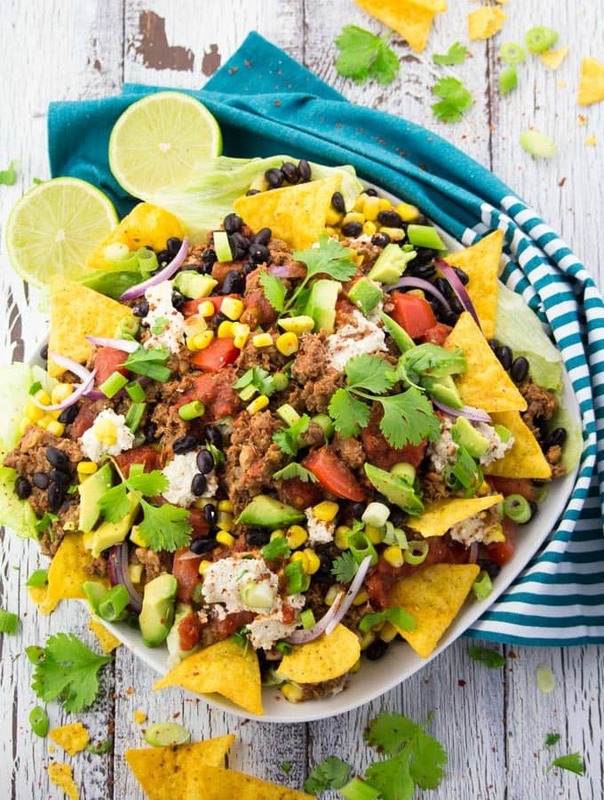 You know we love Mexican food over here, and we love the idea of a healthy Mexican Fiesta! 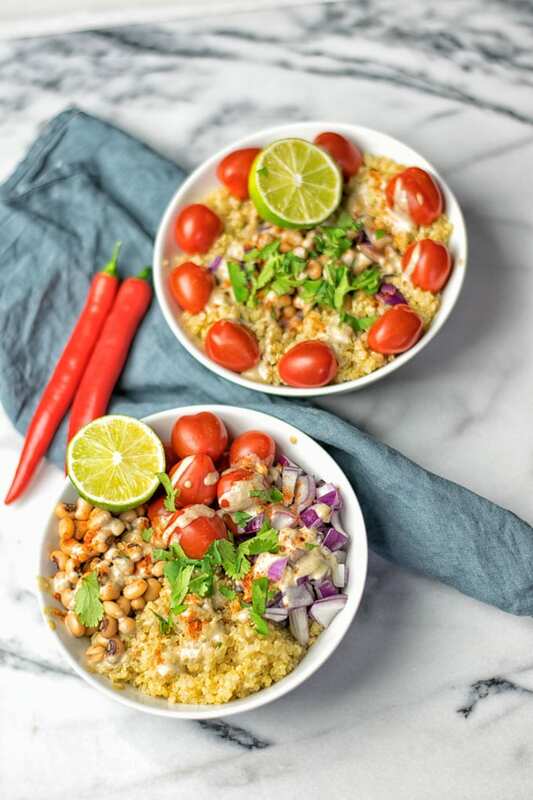 This salad is filled with protein from the quinoa and pinto beans, savory spices, and creamy vegan cheese dip! Olé! Did somebody say sweet corn and Jalapeno? Count me in, because those two ingredients in one place can only mean that this is a damn good salad. More corn for all of my corn lovers! 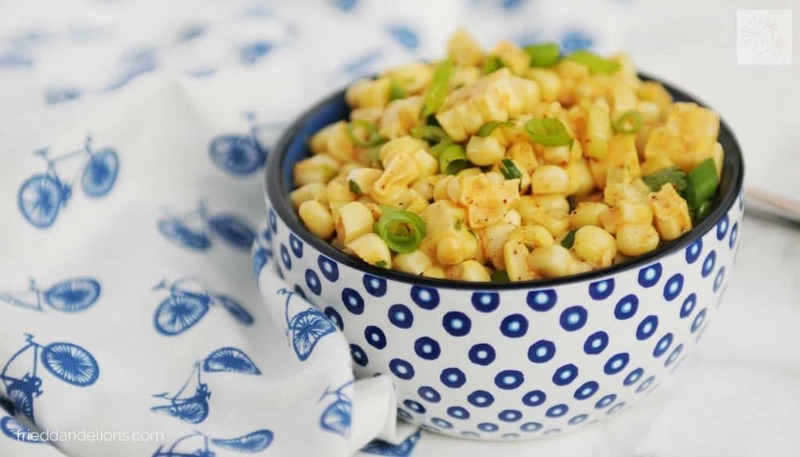 This doesn’t need any introduction, it’s just a bowl of sweet and crunchy corn with lime, vegan mayo, and spices. Count me in! Tacos, tacos, tacos! This delicious taco is in salad form and it has lentil walnut meat. YUM! 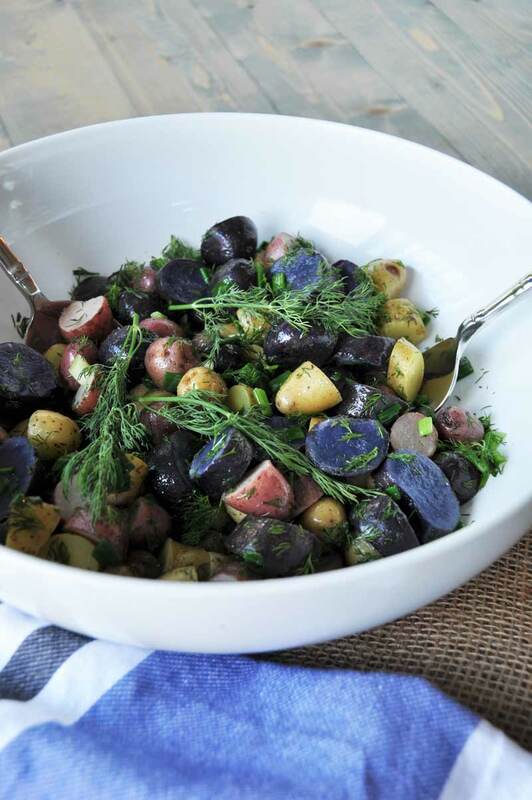 Memorial Day is just weeks away and the 4th of July follows, let’s salute this great country of ours with a festive and colorful potato salad, a picnic staple. There you have it! 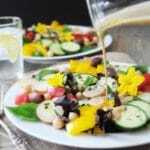 12 healthy and easy summer salads that you can make as a meal or a side. I hope you enjoy them as much as I do. Next week we’ll be back on schedule as we’ve turned in our cookbook manuscript and finished taking the pictures. We’ll have a post all about that coming soon. Right now I’m in Half Moon Bay, CA enjoying breathtaking ocean views and breathing in the salt air. I’ll see you on Tuesday! Thanks for including me pretty lady!! 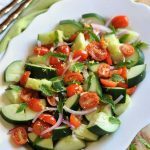 I love summer salads and am SO excited for summer to come!! Maybe if I make these the time will pass quicker?? Great salad inspiration here, thanks! What a fabulous line up of deliciousness! I am a massive salad fan and am always happy for new inspiration. Thank you so much, Trinity! 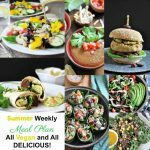 Such a yummy round up of recipes! Thank you for including my fattoush salad!